Having to get out of bed when you haven’t had a good quality sleep is a struggle. Sometimes you may not even sleep at all. To face work feeling lethargic, sick to the stomach and with pinpricks in your eyes is not a good start to the day. Yet around 16 million people in the UK have sleepless nights on a regular basis. Insomnia is caused by a state of mind; worry, anxiety, depression, and rumination are just a few of the reasons keeping you awake at night. It could also be that your partner is snoring. 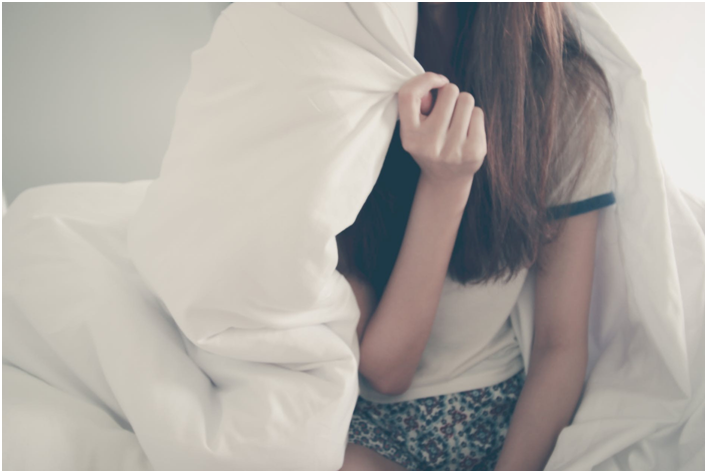 Whatever the problem is, a lack of quality sleep can impair your mental health. Insomnia can aggravate mental states like stress, depression and anxiety. You start worrying about not sleeping and fall into a vicious cycle that can be difficult to escape. The link between insomnia and depression – and vice versa – are well founded. However, even one bad night’s sleep can effect your mood. Tiredness causes irritability and slows down your cognitive function. People that suffer sleepless night’s regularly will develop irritability, feelings of insecurity, low self-esteem, frustration and many other negative side effects caused by sleep deprivation. In essence, a lack of quality sleep will ruin your life, both short-term and long-term. The long-term affects on your mental health will disrupt your ability to concentrate and negatively impact your work performance. Your relationship will probably suffer as well. It’s important to have a good quality sleep, so if you do struggle with falling sleep, don’t take stimulants. First of all, stimulants do not provide you with a good quality sleep and you can be dependent on them. For example, alcohol doesn’t aid sleep.Taking a nightcap or drinking heavily may help you fall asleep, but it also reduces rapid eye movement (REM) so you don’t sleep deeply. Alcohol is also a diuretic and can cause you to wake in the night needing the toilet. You will also become dehydrated from sweating and possibly keep your partner awake because you’re snoring. Their annoyance is definitely going to change your mood! The Sleep Foundation say that “sleep is a vital indicator of your overall health.” If you turn in a good quality sleep every night, you stay in better health and live longer. Researchers found that people with mental health problems are more likely to suffer from insomnia. In turn, sleep deprivation worsens mental health. When you have a good quality deep sleep, the body temperature drops, the muscles relax and your heart rate slows down. The physiological changes are believed to boost the immune system. Sleeping also plays a part in the mind’s ability to consolidate and organise information, and thus improves memory. On the flip side, a bad night’s sleep impairs your memory. Although scientists are still trying to thread the pieces together, they have discovered that sleeplessness increases the amount of neurotransmitters and stress hormones which causes emotional responses to become unregulated and ultimately impair your capacity for rational thinking. Getting a good night’s sleep cannot be underestimated. If you are struggling to sleep because of worry, anxiety or depression, look into ways of controlling your mental state. A sleeping aid may even be the answer to help your mind relax. Copyright SnoreWizard 2019. Registered in England No. 1744352. Fast Systems, Videcom House, Newtown Rd, Henley on Thames, Oxon.